There are many different ways to throw and grip a change. Most changeups serve the same purpose – taking speed off the ball – but some have greater movement than others. Movement (along with change of speed and location) gets hitters out. Here are some examples of different Changeup grips. My favorite change is the C-change (illustration b) because it’s easier to throw than the Circle (illustration c) and still moves more than most changeups. I also get into detail about some different changeups in the video clip below. There are different philosophies about the change; how to grip it and how to throw it. The circle change is the most talked about changeup. 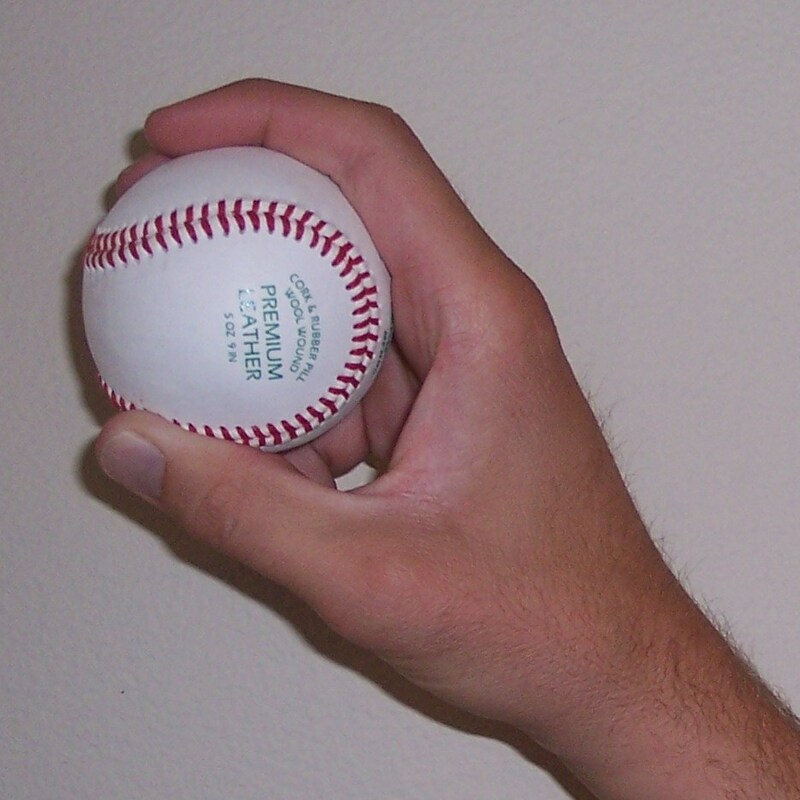 However, most coaches teach pitchers how to grip it the wrong way; almost like a palm ball. Many coaches instruct their pitchers to change their arm angle or slow down their delivery when throwing a change. That defeats the purpose of the change when you change your delivery (pitching mechanics) to throw any pitch. There is no deception in that; Arm speed maximizes deception. Deception also gets hitters out. Here is an example of how to grip the C-change. I like to place my thumb and middle finger on the top and bottom seams of the ball, (see illustration a) much like I’m gripping a curveball. My index finger is placed between my thumb and middle finger creating the C shape (illustration b). 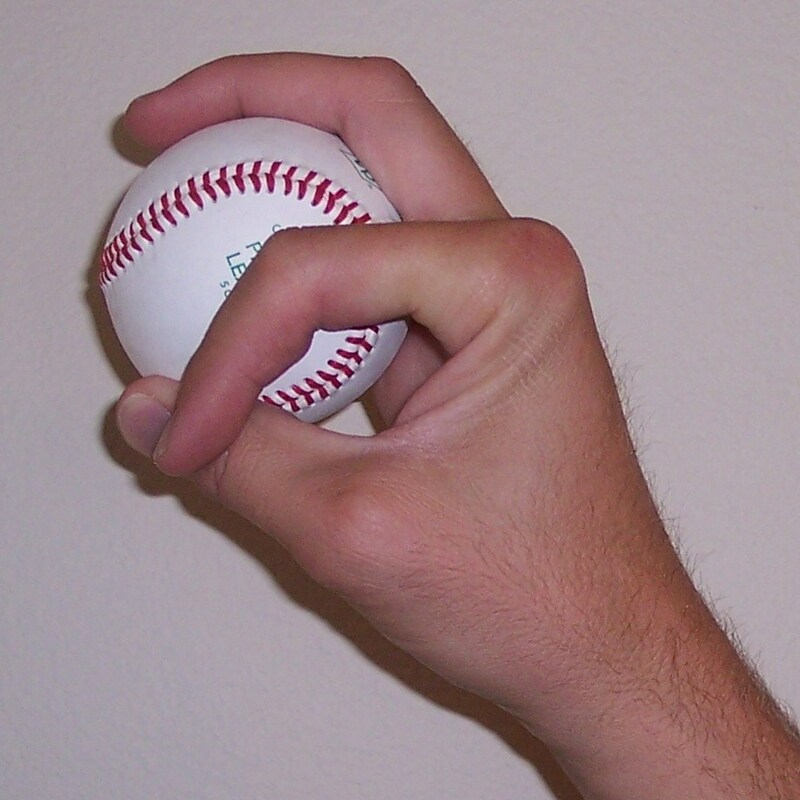 To throw a circle changeup you simply tighten up the C and make a circle; an a okay sign with thumb and index finger (illustration c). Throwing the C-change is unique because the C is thrown directly at your target. The C Change is thrown with the same arm angle, arm speed and exact same pitching mechanics as your fastball. The only difference is you change your wrist and forearm angle on the pitch, again; the C shape is thrown at your target. That is what causes the ball to slow down and create more movement. When pitcher’s learn to throw this pitch they typically have a difficult time throwing the C at their target. The first few attempts throwing it they may drop their front side raising their throwing arm too high and lock their elbow. If you focus on keeping the same arm slot and you continue throwing the pitch, like any other pitch, it gets much easier to throw the C at the target. When I teach my pitchers a new pitch I always have them learn it on their knees doing this pitching drill. That way they learn to “feel” how to throw the pitch before they just try to rifle it in there 60 feet away. Pitchers learn new pitches more quickly and effectively when they slow their motion down and focus solely on keeping the same arm angle while throwing the new pitch. Throwing on your knees keeps the pressure off your throwing arm because your taking away the momentum. 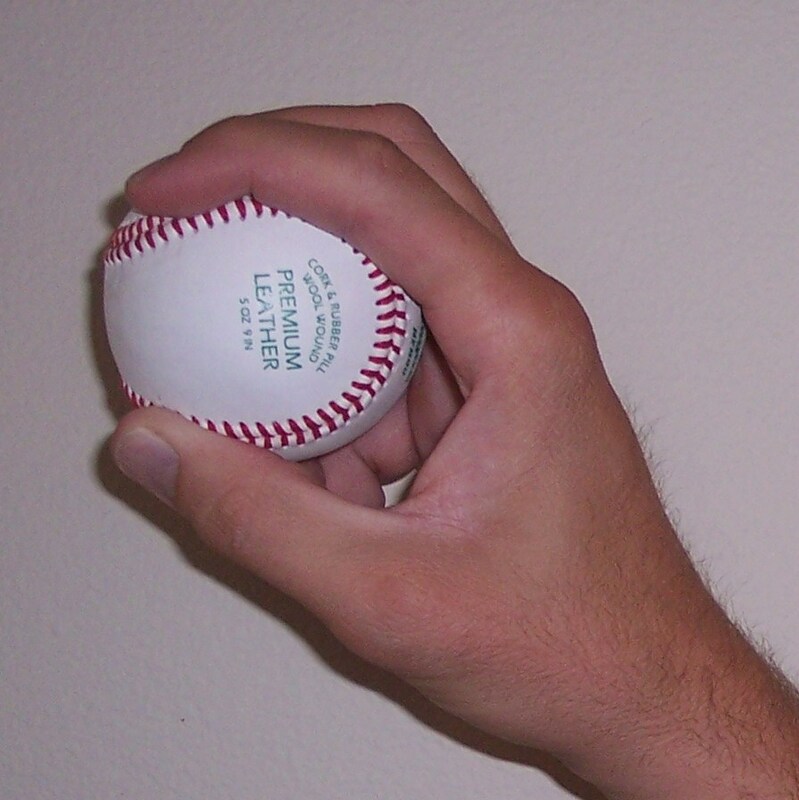 It also allows you to focus on the wrist and forearm angle of the pitch you’re learning. This pitch is one, if not the most difficult pitch to learn how to throw. The reason why I enjoy throwing it aside from all of the other changeups is because it is more deceiving and has much more movement than any other change out there. Okay, the circle change moves more because it has a tighter rotation, but it is much more difficult to grip and control. When you master the C-change it will be time to tighten the C up and make a circle with you thumb and index finger. Until then, just get used to throwing the C-shape at the glove palm facing out. Many pitchers will continue to throw the C-change throughout their career, never going to the circle; because it is such a deceiving pitch when thrown properly. Good luck with this pitch, it’s a fun one!